I dockerized and secured, using SSL, my WordPress Blog in one swing! Looking at your address bar you should see a shiny lock symbol. I mainly wanted to protect my WordPress admin login but on the other hand also add some privacy in general. Secondly moving my blog to a WordPress Docker container helped me to better understand container and also will give me great flexibility to easily move the blog to a different host and update. This post should guide you to achieve a similar goal. 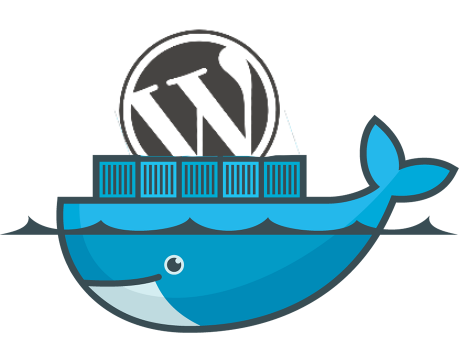 I used the official WordPress Docker image from Docker Hub. The installation is quite straight forward and only need three commands. First of all we are creating a data-only container which will persist our mysql database and also the WordPress wp-content directory in which all of the user data (plugins, media, themes…) is saved. Separating the use data from the database and WordPress container allows us to easily update the environment. I’m leveraging a Debian Jessie image for that. The third and final command will start the WordPress container. This container needs to be linked to the MariaDB container and leverage the wp-content directory from the data only container. Finally the VIRTUAL_HOST environment variable is required for the nginx reverse proxy. If you want to access the WordPress container directly, not using a reverse proxy, you need forward the port with following parameter: -p 80:80. To be able to run multiple different sites using one (public) IP does require a reverse proxy. Jason Wilder created a very nice project called nginx-proxy that makes this very easy. You only need to specify an environment variable called VIRTUAL_HOST when you’re launching a container. Nginx-proxy does monitor the docker service and will automatically update the nginx configuration. To secure your WordPress Blog you will need a SSL certificate. For development and testing you can simply create your own self-signed certificates with following command. I used for my blog a free certificate from StartSSL. These certificate are free for non commercial uses and are valid for one year. Only revoking a certificate does cost a fee. In the future CAcert will also be an option but currently they lack support for their root certificate in all major browsers. For the StartSSL Free certificate, and maybe other authorities, you need to add the intermediate CA certificate to your personal certificate. This is for example necessary for Firefox support. Make a backup of your running installation using UpdraftPlus and import the backup into your dockerized WordPress. Update your WordPress Address (URL) and Site Address (URL) to reflect the change to https. If everything worked is your Blog now dockerized and secured! Beside continue using UpdraftPlus you can also backup your data-only container from time to time. What is this command --security-opt=label:type:docker_t? Excellent tutorial! If using SElinux you have to allow the nginx-proxy container to access the docker socket “/var/run/docker.sock”. To be very clear, and that got me hanging for a while. It doesn’t work for me with the SSL support. nginx-proxy keeps restarting. I have followed the above commands and now have three containers. I do not know how should i start a new wordpress site instead of migrating an existing one. Also when I access my domain name it gives me 503 error. I have the 3 containers on ec2 instance.